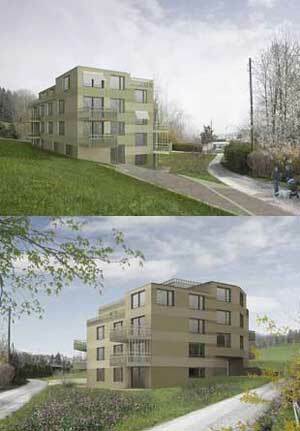 In 2013 in Zurich, Switzerland, a new housing project for people with MCS will be complete. Environmental illness is widespread in Switzerland, with statistics from authorities estimating approximately 5000 affected people. The city of Zurich will help with the real estate and construction law of the housing project for the chemically injured. “The project, costing about 5.8 million francs will be remembered as a pioneering project for healthy living in Zurich’s history,” said city council member Marin Vollenwyder at a press conference today in Zurich. The city has set the goal for itself… “HOUSING FOR ALL,” which means the city also supports this chemically injured population which has a difficult time finding appropriate housing. There was more good news this week from Switzerland. Schifferle added that the Healthy Living MCS housing project will be strengthened by Marianne Dutli Derron, an architect who has worked as a consultant at Zurich SVW, which is the umbrella organization for over 200 housing associations in Zurich. Her office is directly next to the MCS housing association. Ms. Dutli Derron has been elected as the executive manager of this housing project, and will work with Dr. Roman Lietha and Christian Schifferle. At the next general meeting, Ms. Dutli Derron will be asked to be a board member and co-president. She brings eight years of experience as president of another Zurich housing project. A few weeks ago Schifferle asked the architect to join the MCS project and of course, is very pleased to have this commitment. The issue of MCS living is not new for Ms. Dutli Derron. She was one of the jury members for the MCS architectural competition on this project, and understands what is required to make this housing project a success. Christian Schifferle has offered his professional support which is crucial since he has suffered since childhood from severe MCS and knows much about the details needed for those with this environmental compromise. He has invested his energies for years in seeing this project become a reality. Difficult decisions over the coming months will be made during the construction phase. Support and expertise will be needed for the success of this healthy living project. Schifferle is anxious to relate the needs of the chemically injured population, and is thrilled to have Ms. Dutli Derron as a project expert on the board. The city of Zurich while providing this housing project for those with MCS is taking on a pioneering project. It is the first residential project emerging for the chemically injured in Europe. In September 2009, the financial department of the city approved a loan of 150,000 francs for the implementation of a study for the residential building with ten apartments for MCS sufferers. The MCS house is designed from the ground up biologically and scientists offer their support on the residential project. As the Zurich newspaper explains, the focus of this particular building is one of careful choices of safe building materials and expert workmanship. This structure will even be fitted with special locks so that the inhabitants can clean off chemical substances as they enter. This pioneering project will be challenging to build because of the use of old craft techniques, some of which have been forgotten, combined with modern safe materials. Glass fiber rods will be used, which, until now, were never tried in structural engineering. The material conducts either heat or electricity. The MCS building will also try an external wall construction of insulating bricks with a variety of biologically active inner skin with clay and lime plaster. Perhaps this project will have unusual looking materials and processing techniques which are different from normal residential projects, but it is hoped that the architectural firm which has received the contract for this innovative project will emerge with a successful outcome on all levels. In addition the firm desires to give innovative input to traditional residential projects as well. For Christian Schifferle (video), he must sleep for two more years, through long cold nights in the car or on the cot in the forest. After the enormous efforts that he has devoted to this project, he will hopefully have a home in which he and other MCS sufferers can live without symptoms, and thus experience real healthy living. As a next step, with Schifferle’s leadership, Germany will begin safe housing projects for healthy living as well. Perhaps eventually these projects will be prototypes for healthy living buildings for MCS sufferers around the globe. This entry was posted on Friday, September 10th, 2010 and is filed under Allergies, Chemical Exposure, Chemical Sensitivity, MCS, Diagnosis Chemical Injury, Environmental Exposure, Environmental Illnesses, Healthy living, Indoor Air Pollution, Prevention, Sick Building Syndrome. You can follow any responses to this entry through the RSS 2.0 feed. You can leave a response or Trackback from your own site.